Wordless Wednesday – Just stop! That is just too, too not necessary and much over the top. 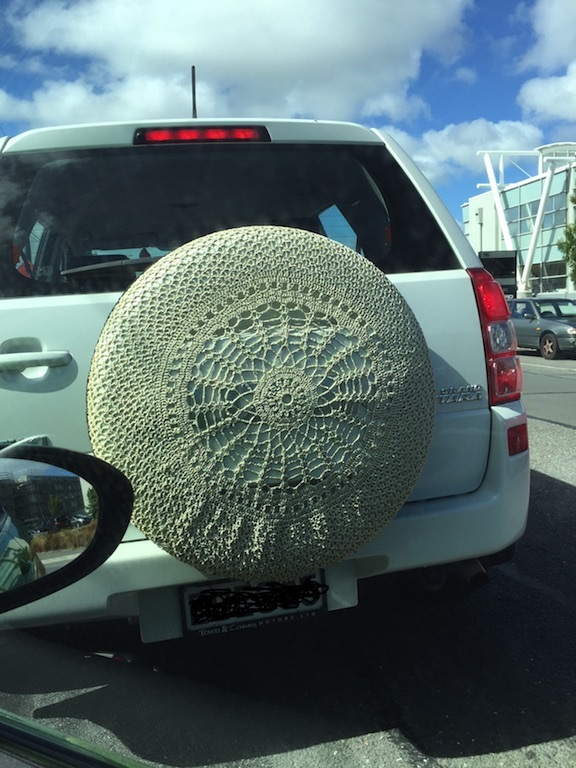 My grandmother crocheted cushion covers for their car… hideous. Do you mean that that thingo that I saw is /was made by someone you actually know?